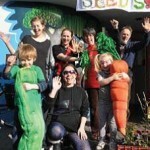 The Big Dig is a nationwide campaign to get people out to support their local community projects. For more information and other projects taking part check their website: www.bigdig.org.uk, and for Bristol-based activities, go here. Check out Sims Hill and Feed Bristol: This is a chance to take a look around and to meet the growers. Hedge planting will be going on at Sims Hill all day until 3 pm. Volunteers to help with this are most welcome! The Sims Hill Shared Harvest AGM will take place on 26 February at 7:30 pm at Horfield Meeting House, 300 Gloucester Road, Horfield, Bristol, BS7 8PD. (see map) Please save the date!